PDF is a common document format that is used widely across the web and in corporate offices as well. It gives the document a professional look, and it is comparatively more secure than other formats. This common format was important to introduce since the different text editors produced different formats of textual content. Microsoft Office produces documents in formats like DOC, DOCX etc. While other software like Open Office produce formats like ODT and various others. PDF makes sure that one document format is compatible across different platforms and software. PDF documents are not editable until you use any special PDF Editor Software to do it; therefore, companies and professionals use it for better security. But what if you want to edit a document to make changes? Technology has solutions for everything and so is with this issue too. You can use a PDF editor to make changes in a PDF document. A PDF Editor software is able to edit the textual and other material inside a PDF document. But it is important that you choose and use the best PDF Editor that can edit the document properly without damaging the layout etc. The Wondershare PDFelement is one such PDF editor software that is feature-rich, but it does the job of a PDF editor much better than other options out there. Basically, Wondershare PDFelement is a PDF editor software that is used for modifying, editing and creating PDF files. As a PDF Editor, it allows you to edit the text, images, tables and other elements inside the PDF document, and you can modify the PDF file directly without having the real document as well. 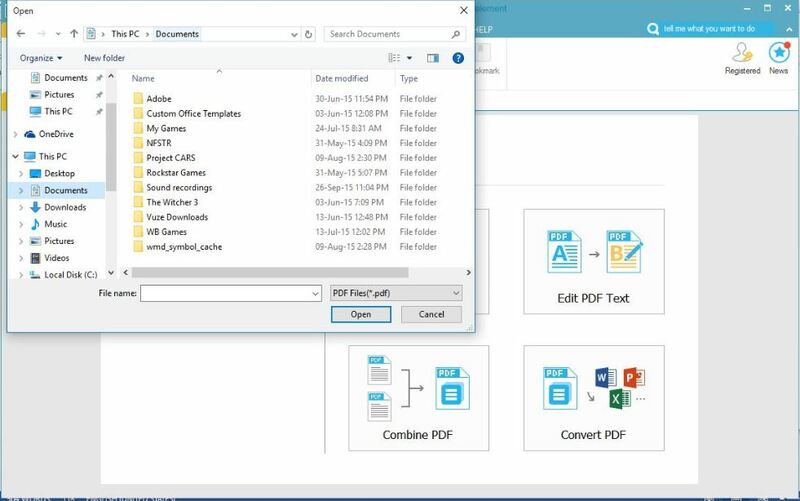 The Wondershare PDFelement is a software that is not just used for editing PDF files, but it is a suite of useful features that you can use in everyday usage of PDF stuff. Let’s look at the features one by one. The first time you start the program, you will be welcomed with the above-embedded window. You can see that each and every control, as well as an option, is perfectly laid out so that the users can directly access them. These are the basic features of the PDF editor, and they are pretty much all you need from a PDF editor to be honest. Let us talk about these features in detail. 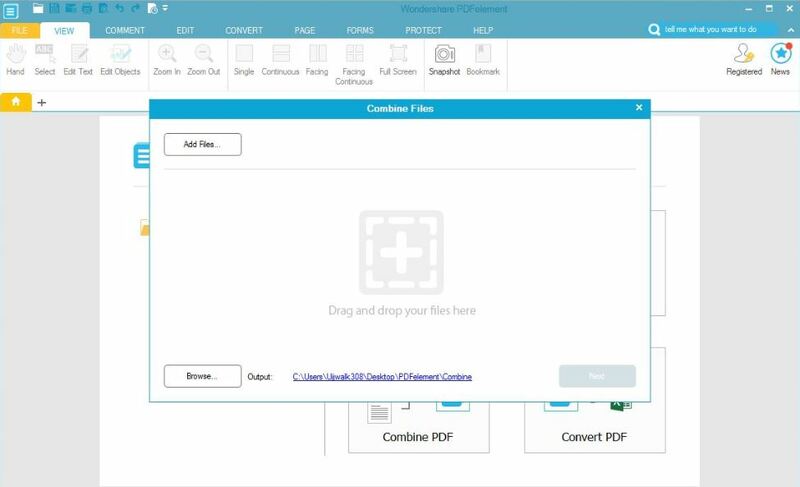 When you click on Create a PDF, you will notice that a new window pops up, and you will be able to choose any type of file including a document or an image as well and the PDF editing software will convert the chosen file into a PDF document for you. As easy as that! Clicking this option will open a new browse window in which you will be able to choose a PDF file so that you can edit the text inside the PDF file you are going to choose. This is a very handy option if you want a PDF editor that can easily edit the text material inside a PDF file with ease. 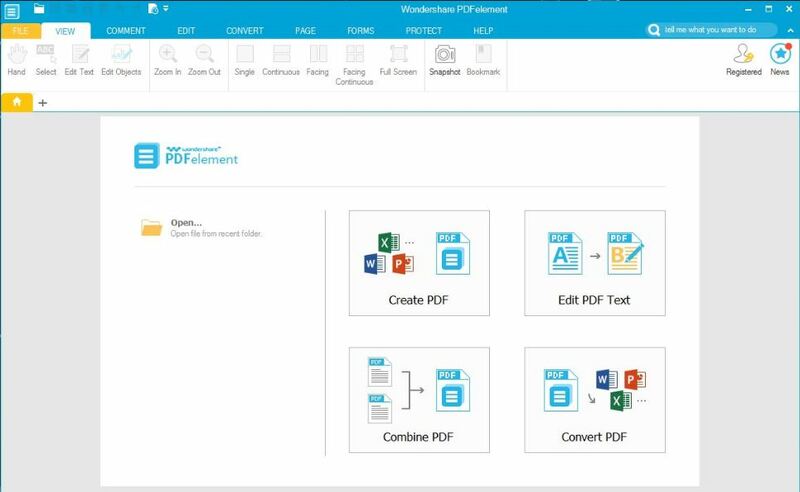 If you want to combine two or more than two PDF files into one single file, the Wondershare PDFelement will let you do that as well. It is as easy as choosing the files, and the software will do it for you. You can also choose different types of documents in the wizard like two DOCX files, and they will be combined and converted without any problems. I personally liked the Convert PDF option very much. 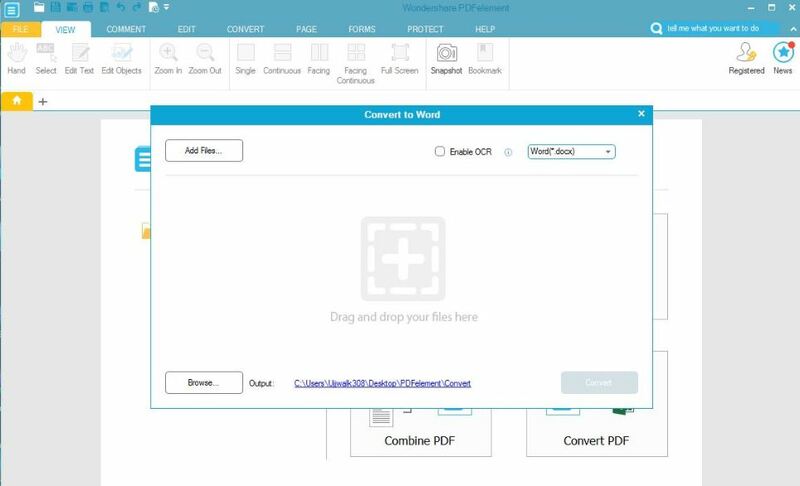 You can choose a PDF file of your choice, and you can use this software to convert that PDF file into a normal Word, Powerpoint, and an Excel format file. How is Wondershare PDFelement different from other options? Wondershare PDFelement is one of the most used and fastest PDF editors I have ever used. 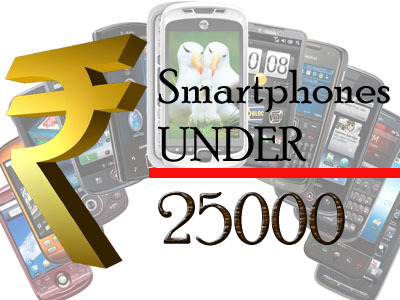 Not only from the software’s usability point but the user interface is also very easy to navigate and understand. As a newbie, you can just install the software, and you can start editing PDF files without any problems. As compared to few other software that do the same job, Wondershare PDFelement is much faster and lighter on the system resources. Getting your hands on this useful software is easy, just head over to the official Wondershare PDFelement website and download the software. This is available for both Windows and Mac. 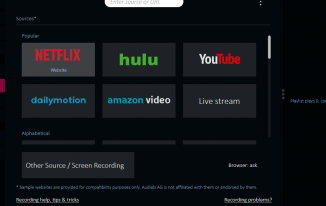 Though it is premium software, you can download the trial to use it before buying it. I am sure that you will not regret of buying this awesome PDF editor software. Good to read about the wonderful review. This converter software looks wonderful. the trial version to check out. This information is indeed a timely one to me. Thank you for checking out this software, and downloading it, Philip. I am sure you will enjoy working with it. Have a good time. This is a great way to work on pdf files. It’s really nice if you’re working with a lot of downloads that need to get edited, like PLR files. We usually need to turn to source files to do this sort of work, and they’re not always available. Even if they are, we’re then forced into a text editor and that can definitely get a bit challenging for people who are not so techie… like me, lol. Thanks for the thorough explanation of how Wondershare works. It saves a lot of time I’d have to spend doing first hand “due diligence” for this pdf software. Thank you so much for checking out this post, and learn more about this excellent PDF editor software. 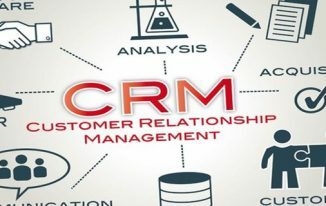 Yes, as we are into content marketing, this software is very important. Sometimes in my official work, need to divert the pdf files to doc files. But i don’t know about the process. this article teach me very much about pdf, doc etc. thanks. This is a perfect review. Being able to modify PDF is what I need. Most of the time, we need to convert pdf to word, modify it then convert it to PDF. Thx For sharing. What a useful software for PDF editing. You always are adding something really good to this blog. Keep up putting out good content such as this. Good Software, sometimes it becomes very necessary to edit pdf files but most of the people can’t do it as they don’t know the right softwares. This software can help us in editing pdf. I will also recommend Adobe illustrator which can edit PDF files. Thanks for Sharing Information . I was looking for such Tool . It become quiet redicoulous to edit the pDf by converting to docx first . wow man,,what a information,,till the time i used to think that a PDF is is not editable, but you provide a valuable information, thank you so much sir. This is very nice software. I download & use this very comportable to use. Different kinds of tools are available for PDF Editor, but as per details in this article and I knew that Wondershare PDFelement is a lower cost alternative to other PDF editing software that also does not skimp on features, and is actually fairly responsive and fast. Thanks for the shared and enjoyed to read! 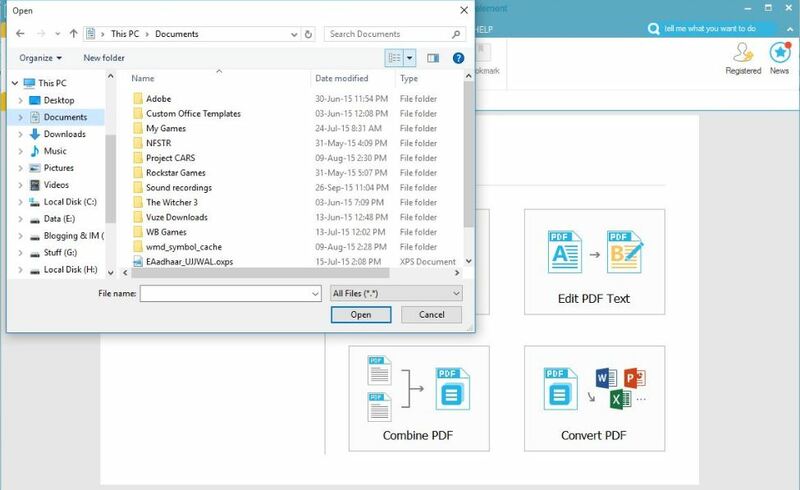 Wondershare PDFelement is the best to compare of another PDF coverter tools, advantages of this tool is speed with accuracy and file format is exact to compare of another tools, thanks for sharing and given bunches of information of this tools and nice video. Very useful trick for editing pdf files. You are really adding value to the knowledge. Thanks for good share.